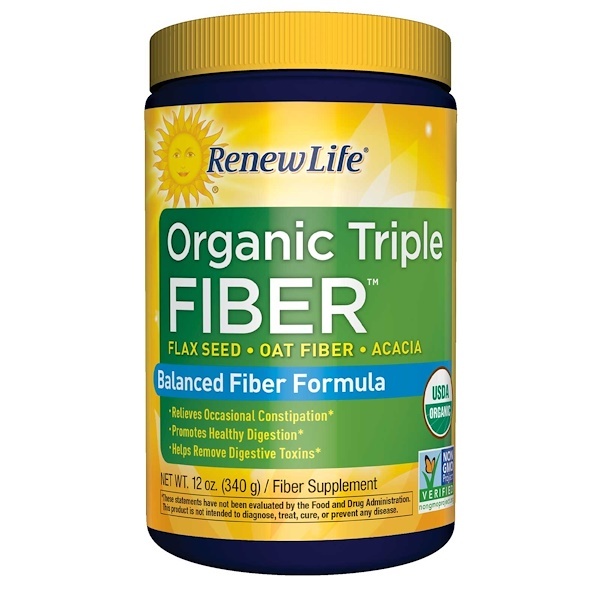 Get a tasty, natural balance of fiber with Organic Triple Fiber. 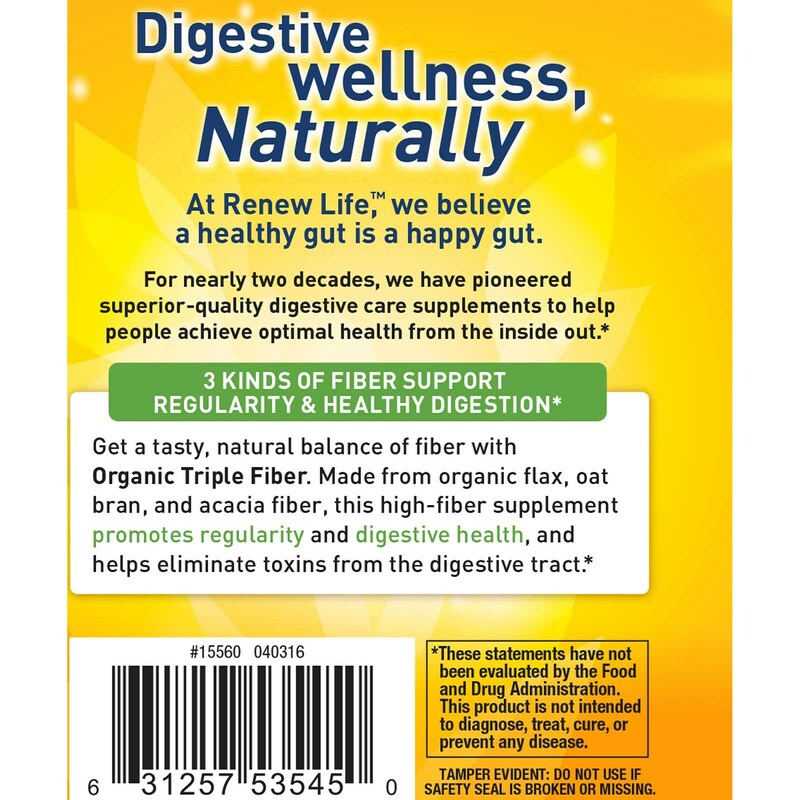 Made from organic flax, oat bran, and acacia fiber, this high-fiber supplement promotes regularity and digestive health, and helps eliminate toxins from the digestive tract. Mix one scoop in 8 ounces of water or juice. 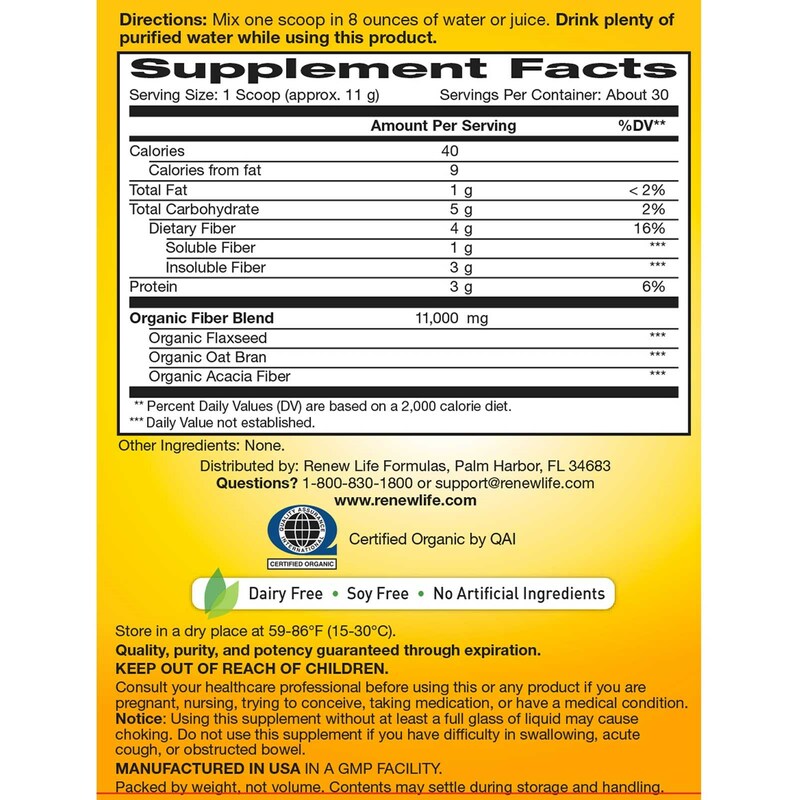 Drink plenty of purified water while using this product. Store in a cool, dry place at 59-86ºF (15-30ºC). Packed by weight, not volume. Contents may settle during storage and handling.